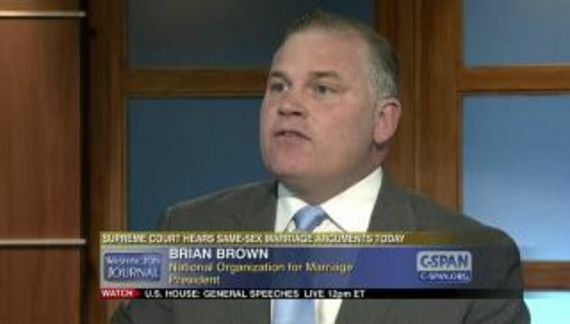 As Pam and Jeremy have both reported, National Organization for Marriage's CEO, Brian Brown will receive an honorary doctorate from American Urban University. All this was arranged through the Coalition of African-American Pastors whose head (Bill Owens) is reportedly on NOM's payroll. 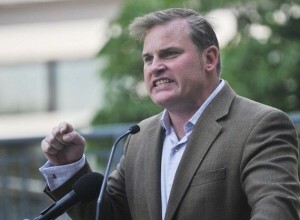 As Pam noted, American Urban University had its corporate charter revoked in 1989. Moreover, I checked the US Department of Education database. No institution by that name is, or has ever been, accredited by any accrediting agency recognized by the US Department of Education. Mr. Brown can stick that worthless piece of paper [fill in the blank]. Are any of these people not douche bags?